Fantasizing about a romantic weekend getaway with your special someone? Your dream destination is on Louisiana's Northshore. Take a break from life's hectic everyday pace and spend a weekend together in a state of serenity. St. Tammany Parish has the stuff romance is made of. A glittering jewel of a lake. Lazy bayous. Ancient moss-draped oaks. Charming accommodations. Outstanding meals in stunning settings. And, St. Tammany Parish is conveniently located just 40 minutes from New Orleans' French Quarter, and yet, feels like it's a world away. Come relax and rejuvenate. Here's a toast to satisfying your sweetheart's sweet-tooth, making memories to last a lifetime and enjoying each other's divine company. Louisiana water recreation is abundant on the Northshore. Embrace your romance on the Louisiana bayous with a guided sunset kayak or canoe tour from local outfitters Bayou Adventure or Canoe and Trail Adventures. 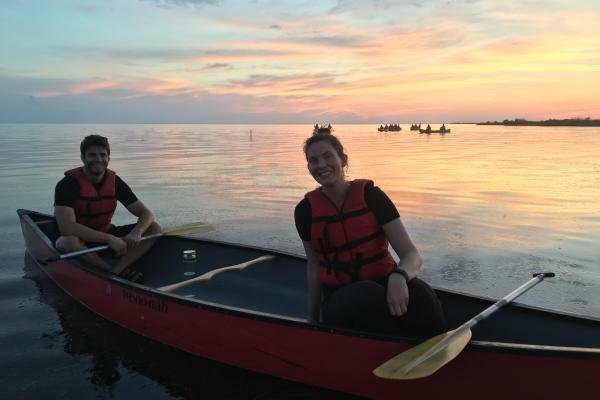 Both have knowledgeable guides to lead you through the bayou, but if you&apos;re looking for a more private evening, rent your kayaks for a self-guided exploration. 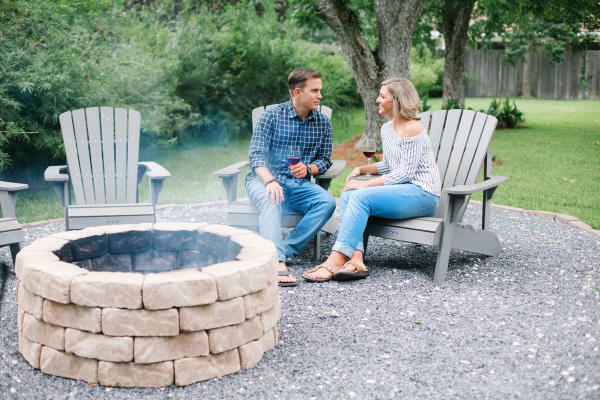 Pack a cooler of your favorite beverages, your must-have snacks, and a sweet treat to enjoy once you find the perfect spot to stop and relax. If kayaking isn&apos;t your thing, no worries: you can also rent paddle-boards from Bayou Paddle Co. in Madisonville or float down the river with Bogue Chitto Tubing Center or Louisiana River Adventures. A cocktail is a great addition to a day with your darling. The Abita Brewing Company, the largest craft brewery in the Southeast, offers tours and flight tastings in their Tap Room, open daily. Join the team at Chafunkta Brewing Company, a short ride from the Tammany Trace, for weekend bike tours and tastings at its Tap Room, Thursday through Sunday. 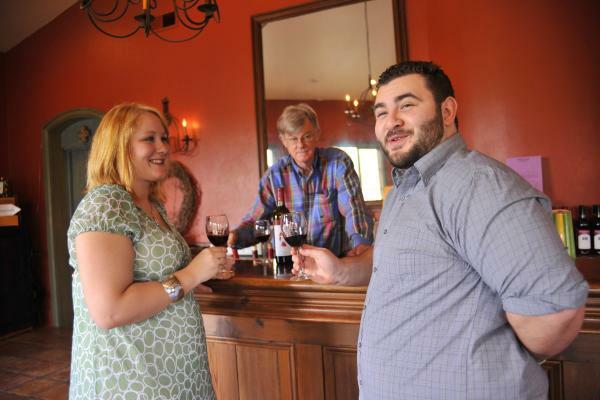 If you and yours prefer vino, LA Serendipity Vineyards and Pontchartrain Vineyards in Bush are ideal for frolicking through the orchards on a sunny weekend afternoon. Barrel Wine Bar is the place to be for live music Tuesdays and Thursdays, or for five-course wine dinners with guest chefs. There&apos;s wine served by the glass; or, try a flight accompanied by the option of scrumptious small plates. 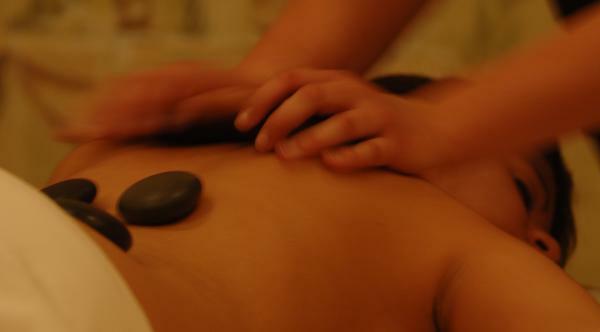 Lay your head down and relax during a full body massage with the comfort of your honey right next to you. The historic and luxe Southern Hotel in downtown Covington offers a full-service spa that will make you and yours feel like royalty. Stone Creek Club & Spa in Covington and Oasis Day Spa in Mandeville are convenient, complete service spas with an array of treatments to ease your mind and body. 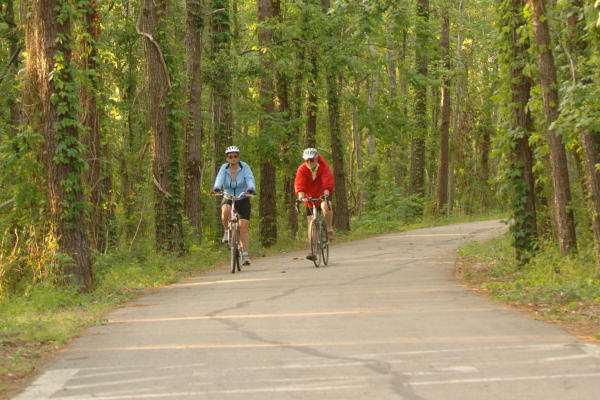 The 31-mile Tammany Trace connects the unique towns of St. Tammany Parish. Inducted into the Rails to Trails Hall of Fame in 2017, there are many wonders to be enjoyed along the trail, from spectacular vistas to picturesque bridges. Don&apos;t worry about bringing your bike, you and yours can rent them from Brooks&apos; Bike Shop at the Mandeville or Covington locations and hop on the Trace. Or, rent a bike and grab a flavorful snoball at the Shack de Ville directly across the street from the Mandeville Trailhead. A dinner with a breathtaking view is the perfect start to date night. In Slidell, Palmettos on the Bayou is nestled in the oaks on beautiful Bayou Bonfouca, with romantic twinkle lights adorning expansive and lush decks. The Blind Tiger in Slidell brings the Bahamas to the Northshore along the channels of Lake Pontchartrain. Rips On The Lake and The Lakehouse in Mandeville are located on Lakeshore Drive, showcasing waterfront views that are almost as breathtaking as your date. 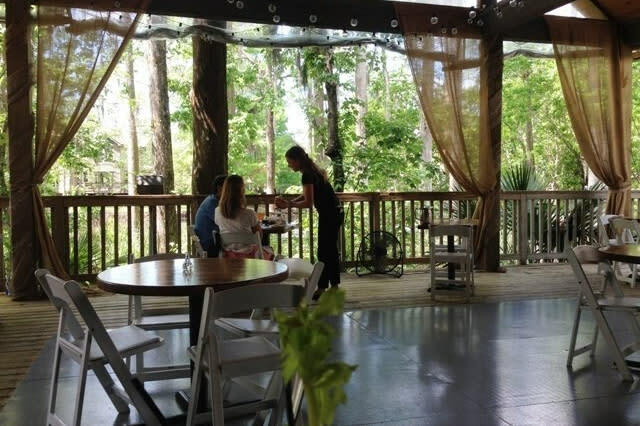 Along the Tchefuncte River in Madisonville, you&apos;ll find an intimate dinner for two at Water Street Bistro. Themed dinners make for a unique way to dine out. Come in costume and the enjoy the monthly Murder Mystery Dinners at Annadele&apos;s Plantation (and book a room in advance--it&apos;s also a B&B) or the themed dinners at the English Tea Room. Plan ahead and book your reservation, the seats fill quickly. Sometimes you just need a peaceful night to yourselves to get away from it all. Adorable bed-and-breakfasts and boutique hotels are sprinkled all across Louisiana&apos;s Northshore. With private entrances, outdoor porches, and essential oil diffusers for each room, the Blue Heron B&B in Mandeville is a guaranteed romantic destination. Book a night (or two) at the new, boutique Abita Springs Hotel, with five private suites, lush gardens and an artesian fountain in the heart of Abita Springs. In Slidell, Bayou Haven B&B is a plantation-like inn set on six acres on the banks of Bayou Liberty with a grand entrance, private dock and custom vacation packages for a personalized stay. The upscale Southern Hotel in Covington has all the elements of a perfect romantic destination: a classic courtyard with plenty of intimate seating spots (plus a plunge pool for guests), the elegant Cypress Bar that&apos;s great for mingling or a cozy tête-à-tête, a stately grand piano in a bright and airy sunroom, and an attached fine-dining restaurant--the award-winning Oxlot 9. Sunflower Farm and Ranch in Folsom offers inclusive, guided and free-roam, all-day riding. Pack a picnic lunch and sit out on the scenic patio for a day in the sun with your love. Splendor Farms B&B in Bush is a romantic country escape that offers full-day rates of riding around the farm trails and cooling off in the pond with your new friends. Stay a night in one of the deluxe suites and the horseback riding, petting zoo, and fishing are all included in the room price. Make it a state park getaway when you rent a cabin at Mandeville&apos;s Fontainebleau State Park --or come for the day and soak up the rays on the sandy beach or pier. Stroll the Riverside Boardwalk through the swamps at Fairview-Riverside State Park. Pack a picnic lunch and dig your toes in the sand at the Northshore Beach. Catch the spectacular, painted sky sunset at the Mandeville Lakefront beach or planted in a hand-crafted swing. Or enjoy an evening under the stars at the Northlake Nature Center&apos;s Moonlight Hike & Marshmallow Melt. Learn how to cook with fresh herbs from the garden in classes at Passionate Platter Cooking School in Slidell, or create your own artful antipasti board at Bella Cucina on Covington&apos;s charming Lee Lane. Unleash your creative side at Painting with a Twist in Mandeville. 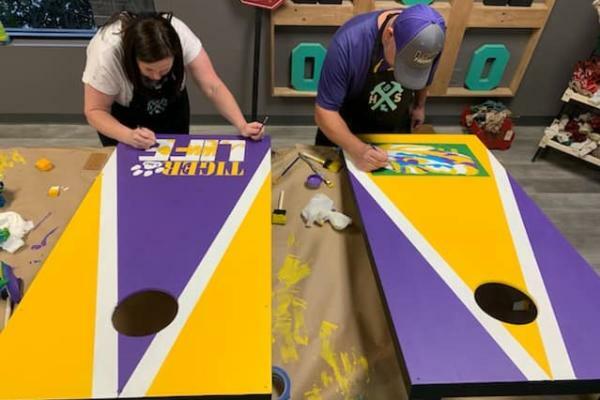 Or, satisfy your favorite crafter or designer with fun projects at Hammer & Stain DIY Workshop in Covington, where you choose from a selection of projects that incorporate custom signs, shelves, corn hole boards, stains and paints to create your unique design. Bring your favorite beverages and snacks and settle in for a satisfying evening. You&apos;ll leave with some new home décor, but the best part is the memories you and yours will make. Lose yourself in the moment swaying to the sounds of live music, wrapped in the arms of your honey. 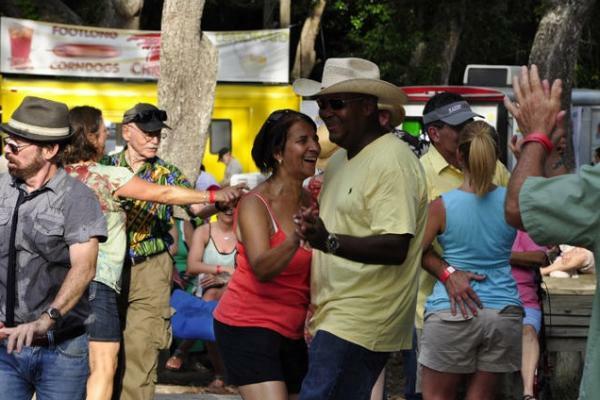 Learn how to dance with Cajun Dancing lessons followed by a traditional Cajun band at Abita Springs Town Hall. Gaze up at the stars at one of Pontchartrain Vineyards&apos; Jazz&apos;n the Vines concerts. Or, snuggle up and get comfy in the Bohemian setting of The Harbor Center&apos;s Lobby Lounge, an intimate setting that hosts up-and-coming touring artists from around the world. 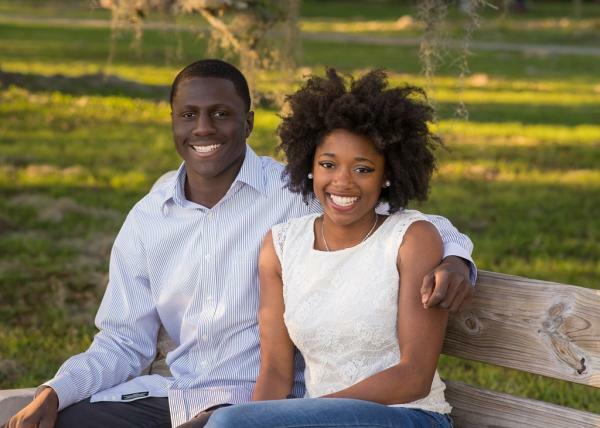 enjoy Louisiana&apos;s Northshore with your honey.